Like the beer industry that uses them, hop growers have seen great growth with the resurgence in craft beer. Though they don’t get the attention that the beer we imbibe does, without them we’d have none of the brews we all love. That’s why Goose Island is looking ahead, and staying on top of the hops. 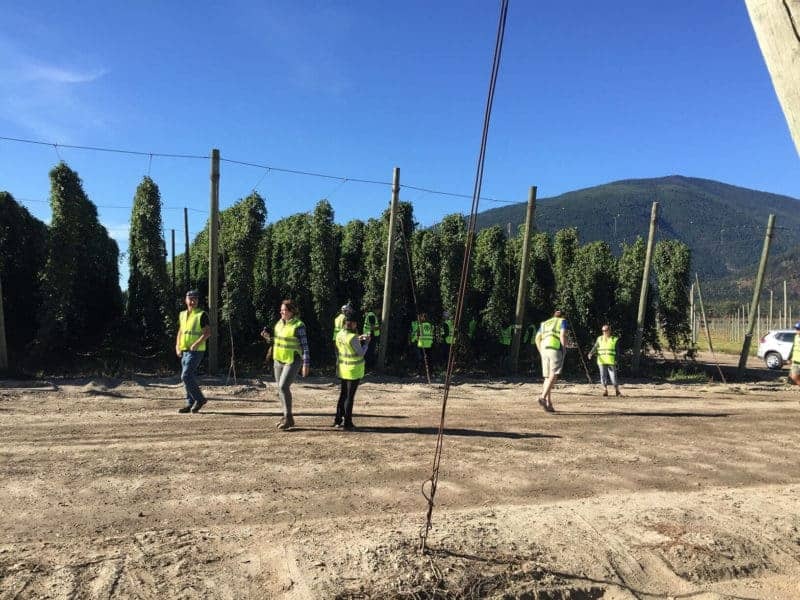 I recently had the amazing opportunity to travel with the Goose Island crew to Elk Mountain Farms, their hop farm in Bonners Ferry, Idaho. Located just 10 miles from the Canadian board, it’s the largest contiguous hop farm in the United States and supplies the hops used in many of the Goose Island beers we love. After a tour of the hop yards, harvesting, and processing plant, we gathered to brew a beer together, using hops we’d just picked from the bine. While we brewed, Goose Island head brewer Keith Gabbett and brewer Quinn Fuechsl talked hops. In addition to growing the standard varieties of hops Goose Island utilizes, Elk Mountain Farms also grows a number of experimental varieties. 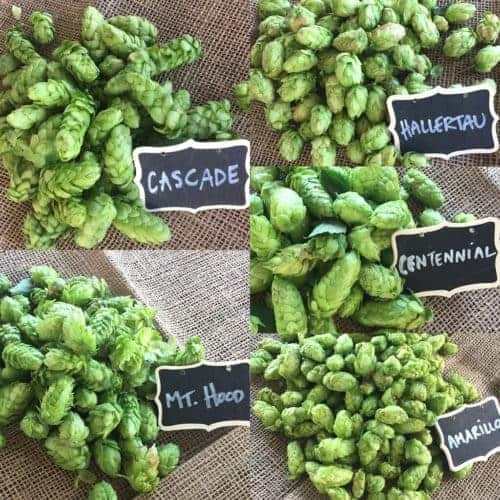 The brewers can use these hops to bring new flavors to their beers, but also experiment with substitutes for existing varieties. While hops like Cascade are a staple variety today, in coming years they may no longer be a viable option, as root stock can deteriorate with time, making for a less than optimal hop. In the same way that yeast begins to mutate when pitched again and again to the point it no longer provides the desired fermentation characteristics it once did, hops can also see negative change with time too. Certain hop varieties may no longer be available due to demand too. As hops are only used for brewing, without enough demand for a particular variety, hop growers will often switch to growing other types that are in greater demand. If you use these less sought after varieties in your brews, you may be unable to get the quality and quantity needed to keep up with the sales of your brews. Having their own hop farm, Goose Island can avoid problems by testing new varieties to replace those they currently utilize. This forethought to plan ahead and be ready for potential changes in coming years gives Goose Island the ability to insure their many loved beers will taste as they should, no matter what the future of hops holds.